Discover the story of flags and banners -- their history, their meanings and how they are used. Here is a spectacular and informative guide to the history of flags around the world. 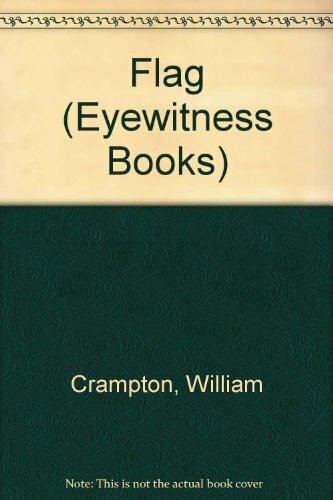 Superb color photographs give the reader a unique "eyewitness" insight into the story of flags -- from the earliest heraldic banners to the national flags of today. See the flag of a Chinese pirate ship, the banners of medieval knights and the standards of modern generals, the flags of the French and Russian revolutions, and the national flags of 160 different countries. Learn how to signal by semaphore, how to hoist a flag, why stars and stripes features in the American flag, how flags were hoisted on the Moon and at the South Pole, and how fascinating ceremonies connected with flags have evolved. Discover how Britain's Union Jack has changed over the years, the story behind the Japanese "rising sun," when a flag is flown as half mast, why many Dutch flags feature a picture of a hat on the end of a pole, what the stars on the Australian flag represent, and much, much more!